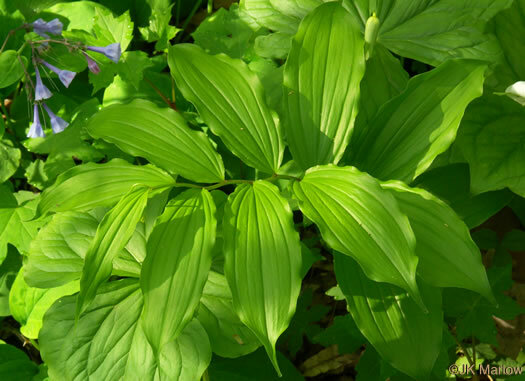 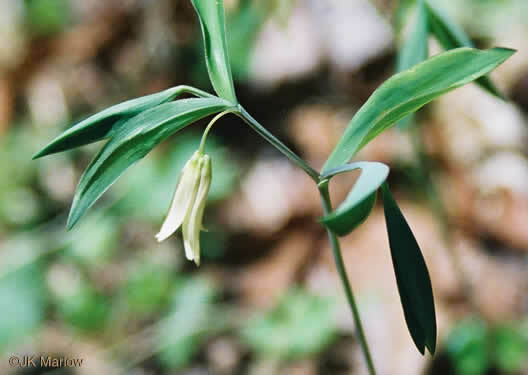 Your search found 20 image(s) of Solomon's Plume, Solomon's Seal, Twisted Stalk, and two Bellworts. 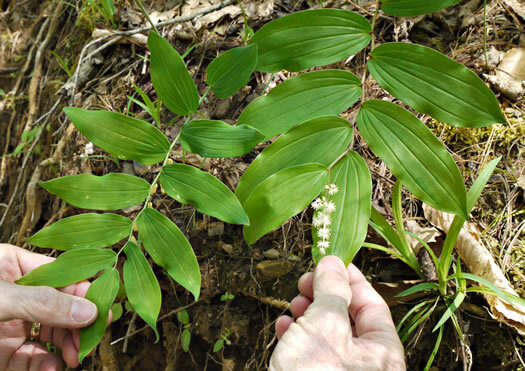 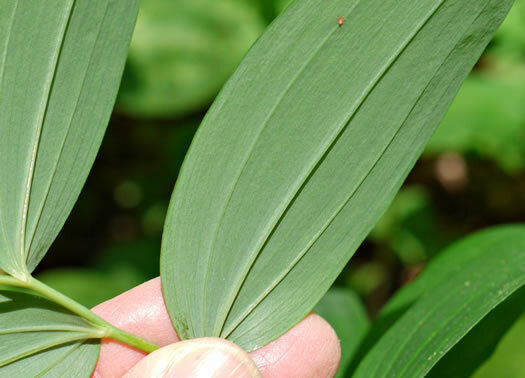 On the left Solomon's Seal; on the right, False Solomon's Seal. 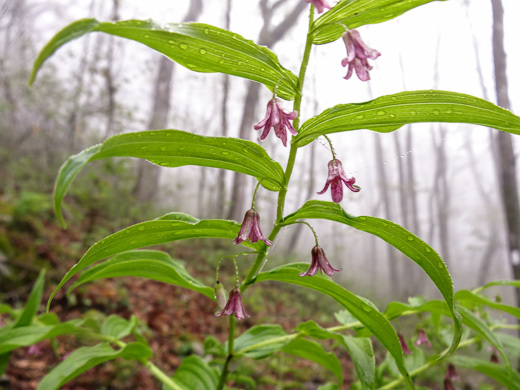 Numerous flowers in a dense terminal panicle 2-6" long, per Wildflowers of Tennessee, the Ohio Valley, and the Southern Appalachians. 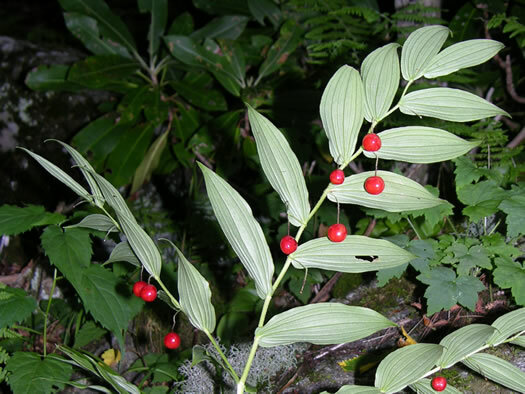 Just before maturity the berry is green finely dotted with red, per Vascular Flora of the Carolinas. 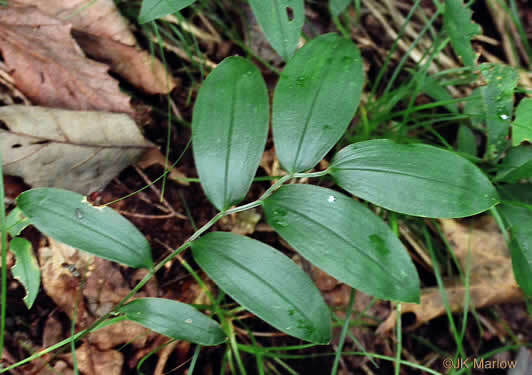 Leaves alternate in 2 rows, sessile, with prominent parallel veins, per Wildflowers of Tennessee, the Ohio Valley, and the Southern Appalachians. 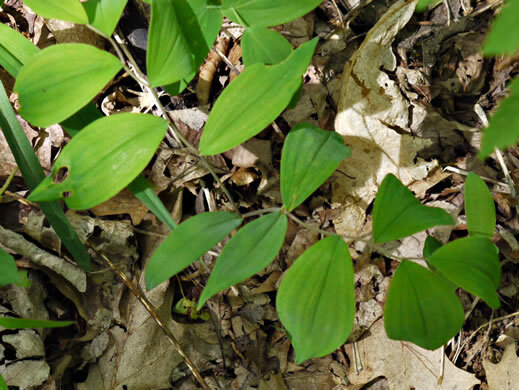 Leaf margins fringed with short hairs, per Wildflowers of Tennessee, the Ohio Valley, and the Southern Appalachians. 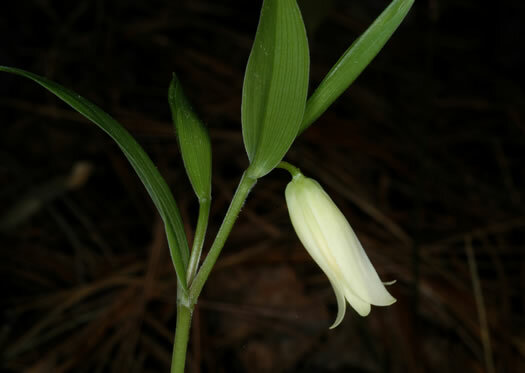 Flowers bell-shaped, hanging singly from a short pedicel beneath the axils, per Wildflowers of the Southern Mountains. 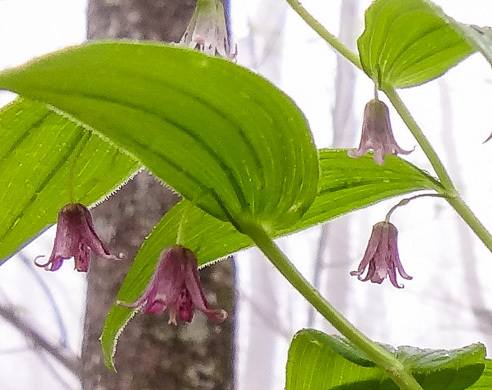 Flowers rose or purplish, tepals 3/8" long with recurved tips, per Wildflowers of the Southern Mountains. 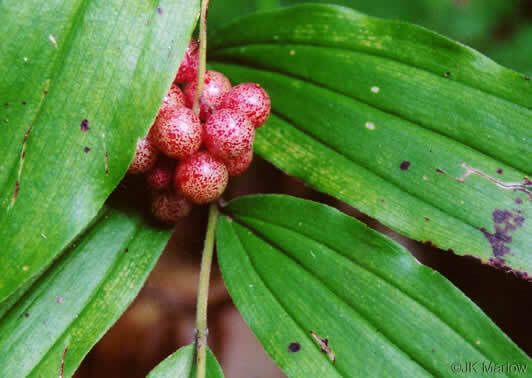 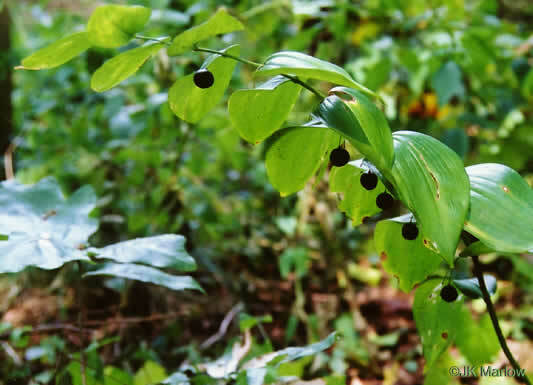 Fruits are ellipsoid red berries, 0.4" across, per Wildflowers of Tennessee, the Ohio Valley, and the Southern Appalachians. 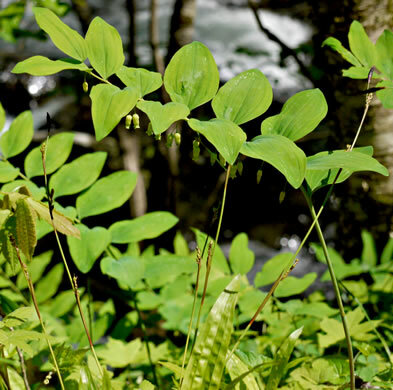 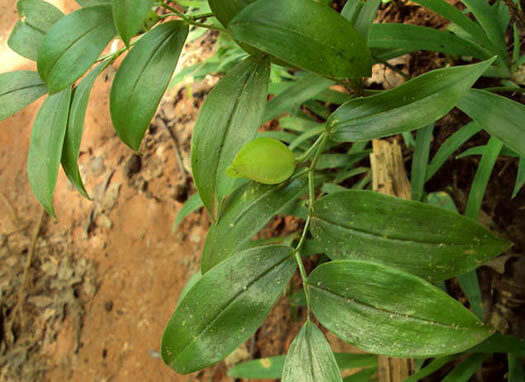 Leaves pubescent on the veins beneath, per Weakley's Flora. 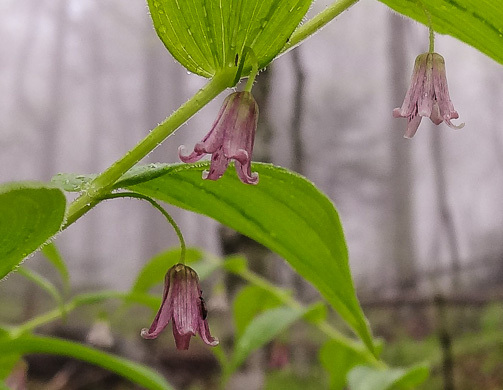 Berry blue-black, globose, 7-9mm in diameter, per Vascular Flora of the Carolinas. 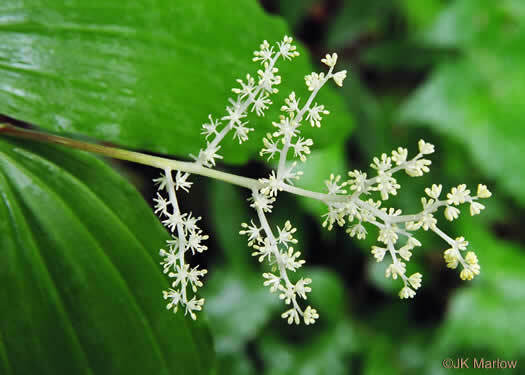 Flowers 12-21mm long, per Weakley's Flora. 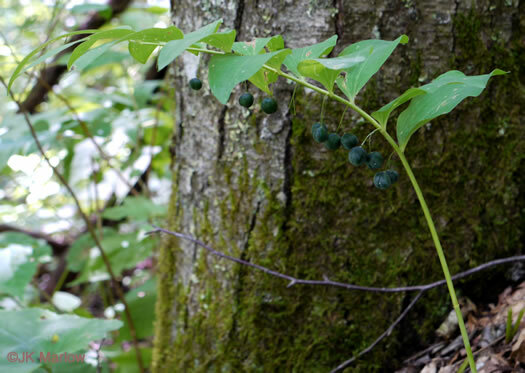 Berry blue-black, globose, 8-12mm in diameter, per Vascular Flora of the Carolinas. 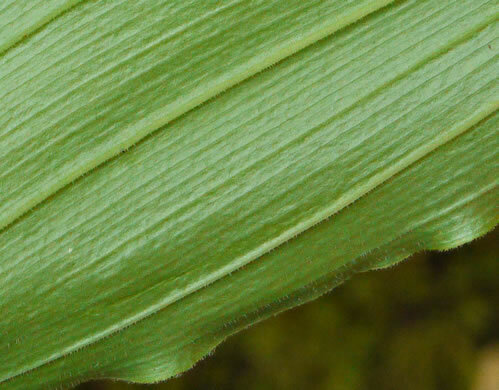 Capsule broadly ellipsoid, tapered to both ends, winged on the angles, per Vascular Flora of the Carolinas. 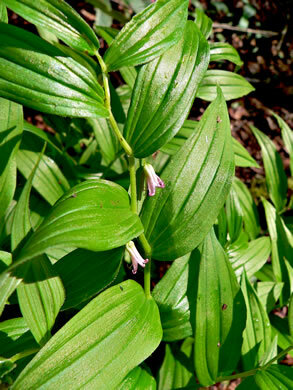 Similar to U. sessifolia, but leaves green and shining on both sides, per Newcomb's Wildflower Guide. 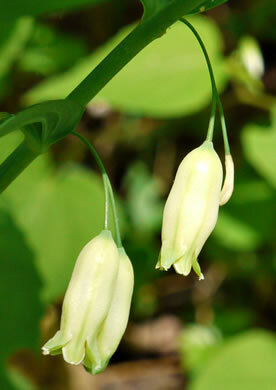 Similar to U. puberula, but with smooth upper stems and whitish leaves, per Guide to the Wildflowers of SC.